According to many "experts", such as the World Health Organization, and the United Nations, 70% of the world's population will be living in cities, by 2050. Usually left out of the reporting of this statistic, are the determining factors that will be causing people to move off of rural land, and into the crowded cities. What would make so many people leave their quiet, rural community, to go and live in a city, that is becoming evermore crowded, or what would stop someone that is living in a crowded city, from moving to a more quiet, rural community? Surely more than 30% of the people in the world will want to have their own piece of land, with a house, away from the city, in 2050. What these organizations are not telling you is that a massive shift of the population into cities is not a random projection, but a planned goal of many of the world's top "leaders", and leading organizations. By causing an increase in the cost of owning, and living on, property in rural areas (property tax, car tax, utilities, etc. ), governments will cause a shift of population from rural communities to the city. This is one of the goals of United Nations Agenda 21. Agenda 21 is a massive plan, or program of action, for the 21st century, developed by the United Nations, and connected organizations, that would require every resource in the world, including humans, to be collectivized, and controlled. If you have never heard of, or are looking to become more familiar with, UN Agenda 21, I have read, and analyzed, the document, and have written a report titled, A Critical Analysis of Agenda 21 - United Nations Program of Action, which I highly recommend. In the following report I will be attempting to convey to the reader, the reality that Agenda 21 has made its way into our local communities, pushed using friendly-sounding terms like "livable communities", "complete streets", and "resilient cities", and is being used to cause a demographic shift, away from rural communities, and into cities, as envisioned, and planned, by the United Nations. The terms Livable Communities, Resilient Cities, and Complete Streets, are only three, of many, programs that I have come across, in operation across the country, that can be directly connected to Agenda 21, and its implementing organizations, that I will discuss here. Important to note, many of these programs are described by the organizations endorsing them as "smart growth", one of the terms that J. Gary Lawrence said is being used as a replacement for Agenda 21. Livable Communities, Resilient Cities, and Complete Streets all appear to be, pretty much, the same program, under different names. While attempting to find a more in-depth analysis of these terms, I continued to come across organizations, programs, and events, that used these terms interchangeably, such as the "Vancouver for the 2014 Livable Cities Forum: Building Resilient Communities", and the "Global Livable Resilient City Network". Continuing with this likeness in terms, the Complete Streets program claims to help "create", and "foster" livable communities, while an organization dedicated to creating livable communities, Partners for Livable Communities, has changed the name of their award program from "America's Most Livable Community" to something called "The City Resilient Awards Program." Agenda 21 is based around the idea that a world-wide system must be set-up, to save the planet, from humans, which are destroying it, with their cars, air conditioners, refrigerators, and all around high standards of living. The planners of the Agenda want to have complete control over all of the resources in the world, in order to implement "sustainable", or "smart", growth, which includes the reduction of the standard of living of people in first-world countries. For this plan to work, people must be made to believe that a reduction in their standard of living is good, and is being done to protect the environment, preserve resources for the next generation, reduce carbon emission, prevent climate change, and other wonderful sounding goals. Agenda 21 recommends for governments to be "protecting the resource base and the environment for the benefit of future generations" (Ch. 8, Sec. 7), and almost exact language is used to describe livable communities: "A livable community is one that preserves resources for the next generation". The Complete Streets program claims to "help reduce carbon emissions and are an important part of a climate change strategy." In this battle to preserve resources, fight climate change, and reduce carbon, Agenda 21 also looks for governments to implement schemes that would "expand areas under forest and tree cover", and to force "rational water use" on people, through an increase in water services. Using almost the exact terms, The Resilient Cities program also looks to protect the world from carbon, and have cities "function more in harmony with nature", by "more tree cover", "reducing the use of resources", "reduced water use", and getting people to "alter their behavior and consumption patterns." To achieve the environmental goals of Agenda 21, one of the actions that need to be taken by governments throughout the world, is to move people off of their privately-owned land and into special collectively-owned communities. Extreme changes in society are embraced by the Livable Communities organization, which describes their program as "a radical shift in traditional attitudes." People will have no other option than to spend the majority of their life, working, shopping, going to school, etc., in the same small community. These communities are referred to, in Agenda 21, as "Human Settlement Zones". Agenda 21 calls for governments to create population programs, and policies, that "bring about a demographic transition", and encourages governments to "concentrate on activities aimed at facilitating the transition from rural to urban lifestyles." (Ch. 7, Sec. 19) As stated earlier, people will be forced off of their land, by an increase in the cost of government services (water, sanitation, waste collection, roads, etc. ), and directed to urban areas where all households, and land, are collectively owned, and accessed. These urban areas that people will be forced to move into are referred to, in Agenda 21, as "sustainable human settlements", and Chapter 7 of the document is dedicated completely to this idea. To make sure you remain in your human settlement zone, your means of transportation will be severely limited. Agenda 21 looks to make people less dependent on their vehicles, and encourage "non-motorized transport", like walking, or using a bicycle. They will do this not just by persuading people to ride their bicycles, and to walk more, but to increase the cost of owning a vehicle, through taxes, fines, and regulations, which will force people to change their lifestyles. Agenda 21 recommends for governments to "integrate land-use and transportation planning to encourage development patterns that reduce transport demand"
The Complete Streets program uses almost the exact wording: "A better integration of land use and transportation through a Complete Streets process creates an attractive combination of buildings – houses, offices, shops – and street designs." Neighborhoods that are not connected to each other, and do not encourage public transport, and/or non-motorized modes of transport, such as neighborhoods with dead ends, and cul-de-sacs, are against the land-use planning of Agenda 21, which wants governments to "adopt urban-transport programmes favouring high-occupancy public transport", and "encourage non-motorized modes of transport by providing safe cycleways and footways in urban and suburban centres". "Even where daily destinations are close to home, incomplete streets too often make them inaccessible by foot, bicycle, or public transportation. They are cut off by cul-de-sacs that increase walking distance, or by high-speed roads lacking bike lanes, sidewalks, comfortable transit stations, or safe crossings." To understand how events are unfolding in the world today, takes an understanding of the role that Non-Governmental Organizations (NGOs) are playing in shaping many of these events. Though there are millions of NGOs around the world, there are a small number of very powerful, extremely well funded NGOs, that use their tax exempt status to fund certain political movements, and ideologies. The power of these NGOs is not secret, and has been known for some time. In the early 1950's, the United States House of Representatives created a special committee to investigate tax-free foundations, after allegations that some major foundations were engaging in activities considered to be subversive to the United States. The committee uncovered surprising information, connecting groups like the Rockefeller, and Ford, Foundations with the funding of anti-American, and collectivist, organizations, and literature. For more information regarding the findings of this committee, I suggest reading the book "Foundations: Their Power and Influence" by Rene Wormser. Wormser was actually a part of the congressional committee commissioned to investigate the great tax-exempt foundations, and wrote "Foundations" to document some of the findings of the committee. To make this analysis more easy to follow, I will be focusing on only one of the tax-exempt foundations mentioned in the congressional investigation, The Rockefeller Brothers Fund (RBF), to show exactly how this massive foundation is able to push its agenda into every small town, and city, across America, and the world, but the reader should understand that many of these top tax-exempt foundations work together on various projects, and share related goals. To further show the connection between the Rockefeller Brothers Fund, the Rio negotiations, and Agenda 21, a quick description of a man named William K. Reilly is needed. Reilly has worked directly with The Rockefellers Brothers Fund; credited with participating in a RBF-sponsored task force report titled "The Unfinished Agenda", as well as editing another RBF sponsored task force report titled, "The Use of Land: A Citizen's Policy Guide to Urban Growth". William Reilly appears to be highly influential in the environmental movement, serving as Administrator of the U.S. Environmental Protection Agency (EPA) from 1989-1993, and president of the World Wildlife Fund from 1985-1989, as well as being involved with, and having connections to, other powerful organizations. 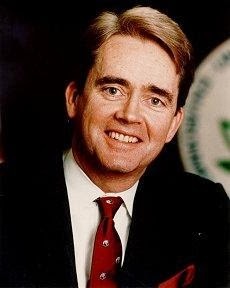 While serving as an administrator of the EPA, Reilly attended, and represented the United States at, the Rio Earth Summit in 1992, where Agenda 21 was conceived. Reilly is also the longest serving trustee to the Partners for Livable Communities, an organization that even credits Reilly for the creation of the aforementioned City Resilient Program. There are claims that William K. Reilly was a delegate to the 1976 U.N. Conference on Human Settlements, where he signed the document on behalf of the United States. I have not found concrete evidence of this, but it would not be surprising. Reilly is just one example of an agent of these elite organizations tasked with implementing their goals, in this case Agenda 21-related programs, throughout the country. The TSTC is an organization that has the task of pushing Agenda-21 related goals, in the area of transportation. The TSTC, according to their own website, is a "non-profit advocacy organization dedicated to reducing car dependency in New York, New Jersey, and Connecticut." In their crusade to force people out of their vehicles, the TSTC lobbies the state legislature to implement changes to the transportation system, that would make it harder, financially, to operate your own private vehicle. These changes include adding red-light cameras to traffic-lights across the state, as well as adding tolls to highways in Connecticut. The TSTC also helped win passage of the previously mentioned Complete Streets program, to be implemented in the city of New Haven. The One Region Funders Group, funded by the Rockefeller Foundation, is a similar organization operating in Connecticut, implementing Agenda 21 objectives. The One Region Funders Group collaborates with the TSTC on many operations in Connecticut, and is even a funder of the TSTC. The meeting that created the One Region Funders Group was organized with support from the Funders' Network for Smart Growth and Livable Communities organizations. Hopefully, by now, the reader should be getting a better understanding of how this Agenda is operating, with the many interweaving foundations, programs, and organizations. A major project that has been the cause of controversy in Connecticut is the New Britain-Hartford busway, now referred to as CTFastrack. This is a plan to build a direct bus route from New Britain to Hartford, which will be inaccessible to personal vehicles. The cost of this busway is estimated at $569 million, and has been called a "boondoggle", and the "the biggest waste of taxpayer money in Connecticut history." The state has even used eminent domain to take peoples property, to construct this busway. Many opponents of the busway say that spending this much money, on a public bus transportation project, doesn't make any sense, but it does make sense, when the connection is made to UN Agenda 21. As I point out in my article United Nations Agenda 21 In Connecticut; New Britain-Hartford Busway, CTFastrack, the stated goal of the busway is to influence trip-making behavior, and remove cars off of the road, which has been pointed out previously, as goals of Agenda 21. As you would expect, The Tri-State Transportation Campaign is a supporter of the CTFastrack busway. Another organization, the Transit for Connecticut Coalition, which was funded into creation by the One Region Funders Group, "has been instrumental in...working to make the New Britain-to-Hartford Busway a reality." In the Connecticut section of the Consortium's official website, it is stated that through "transit-oriented development projects" these livable communities will "provide much of the area's job and housing needs for the next generation." [emphasis added] Notice the use of the word "much". Again, these livable communities are places where people will be forced, financially, to live in, and where mobility will be severely limited. "What metropolitan areas need are new administrative frameworks that support urban development at a broader level or cover wider geographical areas. Local governments must work cooperatively with each other as well as with national decision-making bodies to create a shared vision and strategy." In August 2009, US Senator Chris Dodd, representing Connecticut, introduced the Livable Communities Act into congress, which called for $400 million in grants to be used to advance livable communities "green" projects throughout the state, including the “One City, One Plan” and iQuilt proposals in Hartford, and the 360 State Street project in New Haven. After a quick search, I found that the "One City One Plan" program recognizes the Hartford-New Britain Busway as an essential element in their plan. I have yet to do a more in-depth analysis of these projects, and their connection with the overall Agenda, but plan to do so in the future. "Enhancing local planning to include changes in zoning regulations promotes a multi-generational approach to accessible housing that can help reduce the State's financial assistance burdens as more family caregivers are available to support aging family members." Another important aspect, in regards to the elderly, in the Agenda 21 document, is a policy that gives the state more power over life, and death. Having family members decide the fate of a loved one is costing the state too much money, and Agenda 21 says that "institutional changes must be implemented so that old-age security does not entirely depend on input from family members." Interesting to note, at the time this report is being published, an 'assisted suicide' bill, which would allow doctors to legally kill patients, is causing controversy in the state. I have yet to take an extensive look at this bill, and its potential connections to Agenda 21, therefore I cannot yet suggest that a connection exists with Agenda 21, and this particular 'assisted suicide' bill. To expand further on the quote by the Connecticut Association of AAA, the use of "changes in zoning regulations" to promote "a multi-generational approach to accessible housing", is another key component to implementing Agenda 21. Forcing everyone to live next to each other will require changing in zoning laws, in most cities/towns, to allow for construction of multi-family housing developments. "One method to allow for intensification on existing properties that maximize benefits to the community and minimize impacts is to craft overlay zones which would allow the appropriate redevelopment to occur on each property in the station area. While multifamily and mixed-use development is appropriate on larger parcels adjacent to the station and along the Saw Mill Road/Main Street and Railroad Avenue corridors, accessory units and duplex/triplex development in single family zones would allow for gradually intensification while maintaining neighborhood character as property owners seek to maximize the value of their investments. A public outreach campaign may be necessary to understand any hesitations residents might have about density and demonstrate what well designed transit-oriented development can look like." Important to note, the One Region Funders Group is credited with giving "guidance and support" in this document. "regulations and parking policies that encourage walking and cycling and discourage auto-dependency"
"Hiring particular transportation, housing or environmental experts to work with the applicant to plan and/or design key elements of TCD projects;"
As can be seen from these excerpts, the objectives of this proposal are the goals of Agenda 21. Readers should take note at how these organizations require municipalities, which accept the grant money, to hire someone from their list of specific people, to work on the plan's implementation. Another interesting factor is how these programs always feel the need to have a plan to "mitigate opposition". In the Agenda 21 document, the need to "overcome confrontation" is discussed as a way to create political "solidarity", in support of the Agenda. A critical thinker may question why there ever would be "confrontation", or "opposition", to such a wonderful plan to save the world. Who would oppose it, and why? Hopefully, the answer should be evident by now.